President Andrews and SHHS Dean Gloria McNeal at a special ceremony for graduate Francis Oladipo, who serves with the U.S. Navy. As 2017 draws to a close, I want to wish everyone a safe and happy holiday season. As I think back on all we have accomplished in the past year, I want to express my gratitude for the commitment of our hard-working faculty and staff, and for our dedicated students. Good luck in your final exams, I’m sure you’re all ready for a well-deserved winter break! All of our faculty, staff and talented students have shown themselves to be strongly engaged with the mission and goals of the University, which is why this year we were able to launch one of our biggest innovations in transforming higher education through the Precision Institute at National University. The Institute is identifying, testing and researching advanced approaches to serving our student population through the creation of an integrated, personalized approach to learning and career planning. The Precision Education initiative involves the use of new technologies, open educational resources, integrated data systems, and predictive analytics so that we can enhance and refine our teaching methods to best meet the needs of our students. 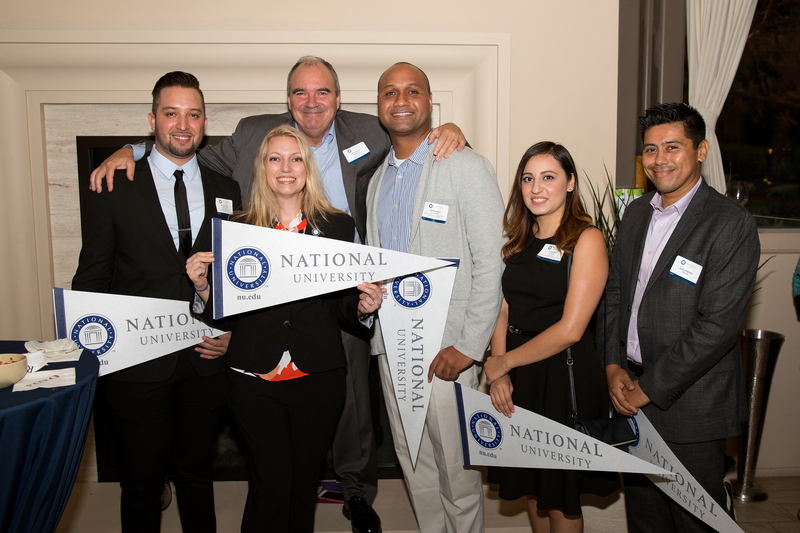 The Precision Institute at National University is already bringing together thought leaders from prestigious institutions such as Oxford University and UCLA to share ideas and explore the best methods to reach our top priority of helping students achieve what they came to this university to do, enhance their lives through academic and career success. I want to thank the Board of Trustees, Chancellor Cunningham and everyone who has contributed to the development of this initiative, and I look forward to watching it grow and positively impacting our students. This year, in celebration of our diverse student population, we launched the NU Scholars Program. This scholarship and educational program offers a high-impact experience through recognizing students who demonstrate potential for high achievement and contribution to society with an emphasis on leadership, service and academic excellence. The cohort-based program is an example of our commitment to identifying approaches for personalized learning through Precision Education. Visit the NU Scholars page to meet our incredible first cohort of Scholars and get inspired by their stories. Our goal is not only to enhance the student experience but also expand opportunities and unique offerings to our students and the communities we serve. A few highlights in this area include NU’s Sanford College of Education expanding its programs to the John F. Kennedy University campus in Pleasant Hill, which meets a regional need by creating new professional pathways for teachers. 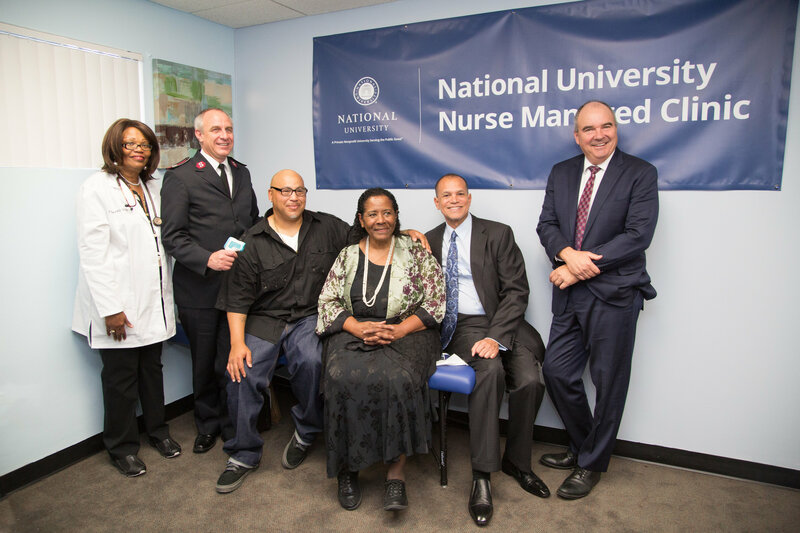 In addition, National University Nurse-Managed Clinic collaborated with the Salvation Army to open two new locations in Compton and Inglewood making healthcare more accessible for residents in underserved communities. I also want to congratulate the School of Health and Human Services for achieving Planetree Silver Recognition making NU the first academic institution in the world to receive this recognition. One of the greatest privileges of serving as president of this University is congratulating our graduates as they cross the stage at commencement. About 25 percent of our graduating class was active or former military personnel, and some of them were unable to attend the ceremony, as they were serving our country overseas. 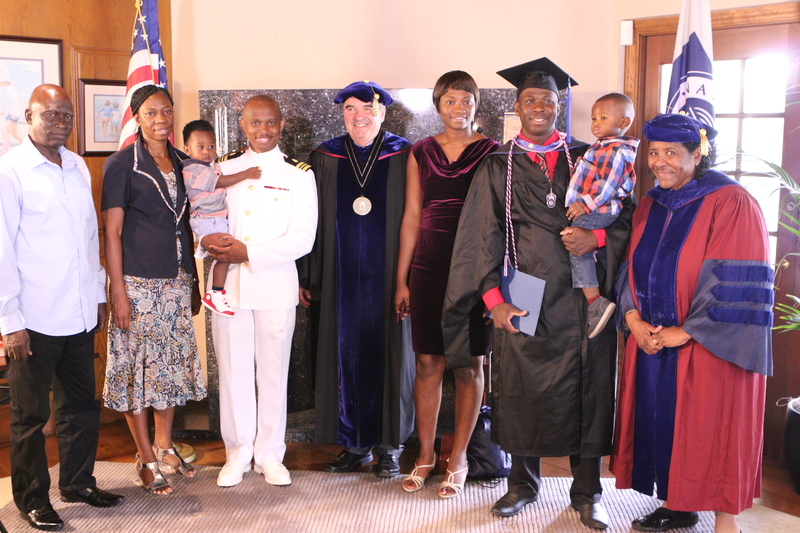 This year, it was a pleasure to share a special message honoring all of our deployed graduates and two in particular: Sergeant Jameson Kaye, who serves in the Marines, and Francis Oladipo, USN, Petty Officer Third Class. In this spirit, I’d like to thank all who have served and all who are serving in our armed forces. I’d also like to express my appreciation for friends and colleagues at National University. Thanks for all that you do for NU and for your community. I wish each of you an enjoyable and safe winter break spent in the company of family, friends and loved ones, and hope everyone finds time to relax, have fun, and renew themselves for the New Year when we’ll be ready to build upon our achievements of 2017 and make 2018 another great year.